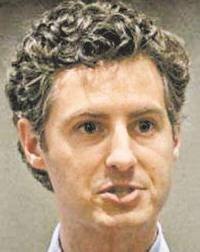 There’s been a lot of criticism of John White, the Louisiana Department of Education, and the sitting BESE board for withholding data and data manipulation. Educational researchers and policy advocates are particularly incensed when the LDOE refuses to release data that had been traditionally used to double-check the claims of the state. The Advocate has posted a story about the rising controversy over White refusing to release PARCC test scores. (PARCC is the standardized achievement test that is tied to the Common Core complex of “grading” students, schools, and teachers.) It’s a muddled story that seems to miss or ignore the basic facts of the matter. It gets this right: White has, in his hands, the full PARCC dataset for Louisiana. But it seems to take seriously some sort of mumbo-jumbo that the state is still trying to set “cut scores.” No. That is not the case. Cut scores are set nationally by the PARCC consortium. Having a common, comparable set of test scores across the nation was a big selling point of the Common Core complex of reforms. Mercedes Schneider has confirmed that the test scores shown on the PARCC website depict the already-approved cut scores that all PARCC consortium states have agreed to use. All White has to do is to plug all the data he already has into the spreadsheets from last year and let the computer run for a second or two. He’s not doing that. Even the most basic data is being withheld until November and the politically crucial school scores are being even further delayed until December. Here’s the question: Since the cut scores for the five categories of achievement have already been set nationally by the PARCC Consortium and all that needs to happen now is simply mechanical just what is that John White really calculating? So….if you know the raw scores you know exactly where each child’s score falls in PARCC system. Easy. Nothing (mathematical) to calculate. 1) Kids scores that will make parents angry and will depict Louisiana’s reforms in a bad light. 2) Subsequent lousy district scores that will raise a ruckus in every district about how unfair the test is and how it doesn’t account for significant differences—like the level of poverty. 3) Lousy neighborhood school scores with the same complaints about poverty that grabs the attention of every parent in the state…mostly not in a good way. 5) A very predictable uproar from educational researchers about how the state has assigned extra credit to certain schools and how its own RSD district benefits inordinately. Yes, these things will happen anytime these scores are released. But releasing them in “November” is conveniently AFTER the October 24th BESE board elections where John White’s supportive bosses will either be reelected or he will be fired should the opposition slate is supported by an angry populace. So not making the people or teachers angry right now is not advisable. In the face of such widespread and valid resistance the right thing to do would be to make real changes. The expedient thing to do is to just hide the data for a bit longer. The “calculations” are political. And self-servingly protective of the sitting BESE members. Here’s an idea: demand that White’s BESE bosses tell him to release the data and its obvious consequences. They should quite protecting themselves and let the public know the consequences of their last four years in office before the election.